What do you think when you hear “senior living homes”? Do you think of apartments or assisted living communities with tight restrictions? Or do you think of a retirement village with many activities and friends to make? 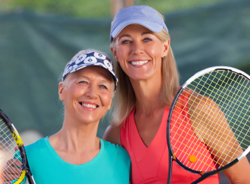 Do you think of an active lifestyle that you can enjoy without worries? Vienna Square offers you independent living with a community of friends and a plethora of amenities to meet any active lifestyle adult. 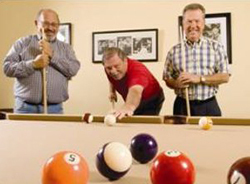 Our residents enjoy activities and fun in our 7,000 square foot clubhouse. You can mingle with friends, dance in the ballroom, compete in billiards, watch a movie in the state of the art theater, work out in the fitness center, play tennis, swim in the heated pool or relax in the whirlpool spa. You can also partake in various organized events and activities each month, or you can enjoy an evening at home. We do not require you to participate in any event or activity you are not interested in. However, we encourage you to try new things and meet new people. 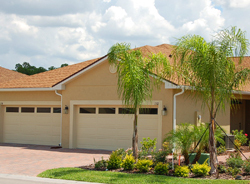 We offer site-built homes and villas with worry-free maintenance. We take care of your lawn, including mowing, edging and maintenance of all common areas. In addition, you receive basic cable, a monitored home security system, a security gate with remote access and the ability to enjoy all Vienna Square has to offer. Purchasing a villa also offers you a reserve for roof replacement and exterior painting for when those become necessary. The best part is that we offer fee simple ownership of our senior living homes. Located in Winter Haven, we are central to both of Florida’s coasts. Florida offers golfing, fishing and many more outdoor activities. The great weather all year long encourages an active lifestyle. Take your visiting family around the Winter Haven area to a sporting event or a local eatery. Go shopping or visit museums. You can even visit a country club or fly over one with a bi-plane ride. 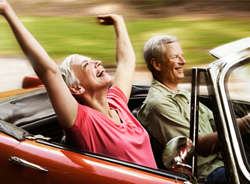 We have re-invented Florida retirement communities to provide you with comfort and care. You do not have to worry about your well-being. Our Secure Care Pledge is to provide you with the best care in the industry in the comforts of your own home. We have a full range of care services at your disposal if you need them. Our highly qualified nurses and medical staff will take good care of you. We can help you make the most of the best years of your life. No matter how active you wish to be or what your medical needs are, we provide you exceptional quality, comfort, affordability and an overall experience of fun. Contact us today to learn more about Vienna Square and our senior living homes.